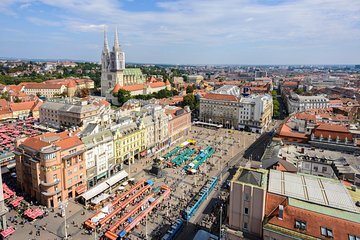 Make the most of your journey from Split to Zagreb with this transfer that includes a tour of the Plitvice Lakes National Park. After pickup in Split, enjoy the scenery aboard the air-conditioned coach, then stop for four hours at the national park to explore the 16 interconnected lakes and waterfalls on a guided tour. After your time there, continue on for drop-off at your hotel in Zagreb.